US Attorney General William Barr released his letter setting forth the principal conclusions relating to the Russia probe conducted by special counsel Robert Mueller. (Special Counsel investigation ran from 2017 to 2019 focused on law enforcement and counterintelligence investigation of the Russian government’s efforts to interfere in the 2016 US residential election). It does not say whether Mueller found a preponderance of evidence of crimes. (The criminal standard, beyond a reasonable doubt, is much higher.) The letter does not say whether Mueller found that President Donald Trump lied to the American people. It does not say Mueller exonerated the president; to the contrary, it says the opposite. It does not say anything about possible financial crimes under investigation. Barr is not clear why there were more than 100 contacts between the Trump presidential campaign and transition team and Russia-linked operatives, or why so many people denied that there were contacts. The report does not say whether Trump and his associates welcomed the help of a foreign hostile power. It also does not say anything about possible state prosecutions. ■ There were two main Russian efforts, one through primarily through social media and the other via email hacks disseminated through intermediaries such as WikiLeaks, to interfere with our election. If we accept Mueller’s investigation, the claim that there is uncertainty about who interfered with the election and on whose behalf is false. ■ Mueller did not find that Trump or those with his campaign conspired or coordinated with Russia to interfere with the election. ■ Mueller found a list of actions under the part of his investigation into obstruction of justice but did not reach a prosecutorial decision. Mueller explicitly did not exonerate Trump of obstruction. Trump’s appointed attorney general and Deputy Attorney General Rod Rosenstein decided it was not sufficient to establish that an obstruction-of-justice offence occurred. ■ What was the series of actions that Mueller looked at when investigating obstruction? ■ Why did Mueller decide not to opine one way or the other on obstruction? ■ Did he find a preponderance of evidence of obstruction? ■ Why did Barr and Rosenstein conclude there was no obstruction-of-justice crime? 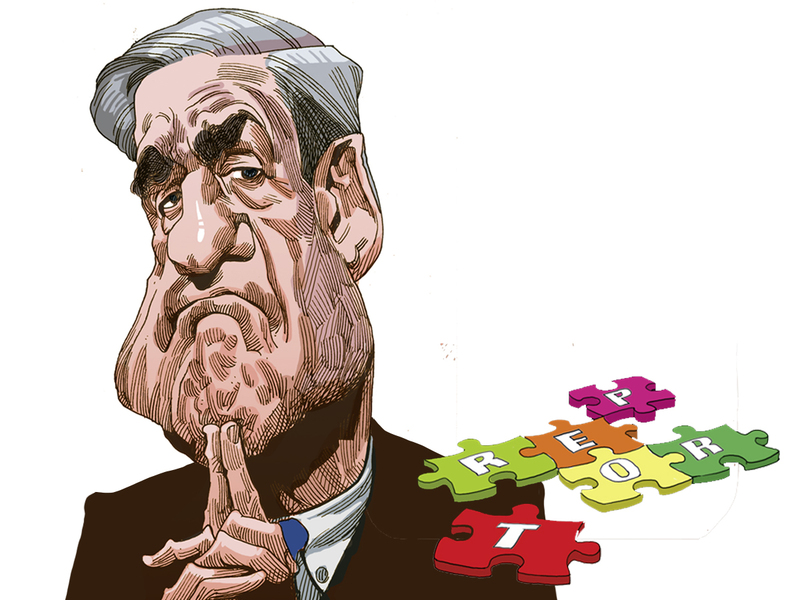 ■ Did Mueller not find evidence of coordination/conspiracy, or did he rule it out (disprove it)? ■ What explains all the Russian contacts? ■ Why did Michael Flynn lie about Russia contacts? America is now faced with an entirely untenable situation: The special counsel did not render a judgement on obstruction but clearly found evidence thereof. Trump’s own attorney general and deputy attorney general wouldn’t prosecute, but other independent prosecutors could certainly find that information sufficient to charge Trump now or later. Moreover, the evidence might be so compelling as to reach the standard of high crimes and misdemeanours. One more observation is in order. If the investigation into Hillary Clinton’s emails had been handled exactly the same way — saying they found no evidence a crime was committed — public reaction and even the outcome of the election could have been far different. For that, former FBI director James Comey will have to answer to history. Jennifer Rubin is a prominent American journalist and political columnist.